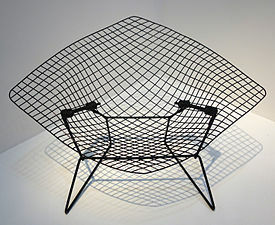 The Mid-Century modern movement in the U.S. was an American reflection of the International and Bauhaus movements, including the works of Gropius, Florence Knoll, Le Corbusier and Ludwig Mies van der Rohe. Although the American component was slightly more organic in form and less formal than the International Style, it is more firmly related to it than any other. Brazilian and Scandinavian architects were very influential at this time, with a style characterized by clean simplicity and integration with nature. Like many of Wright's designs, Mid-Century architecture was frequently employed in residential structures with the goal of bringing modernism into America's post-war suburbs. This style emphasized creating structures with ample windows and open floor plans, with the intention of opening up interior spaces and bringing the outdoors in. 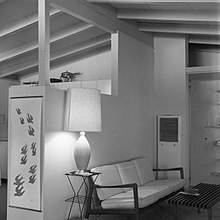 Many Mid-century houses utilized then-groundbreaking post and beam architectural design that eliminated bulky support walls in favor of walls seemingly made of glass. 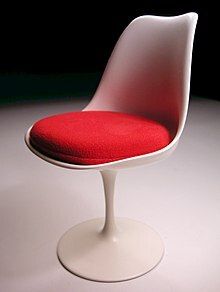 Function was as important as form in Mid-Century designs, with an emphasis placed on targeting the needs of the average American family. In Europe the influence of Le Corbusier and the CIAM resulted in an architectural orthodoxy manifest across most parts of post-war Europe that was ultimately challenged by the radical agendas of the architectural wings of the avant-garde Situationist International, COBRA, as well as Archigram in London. A critical but sympathetic reappraisal of the internationalist oeuvre, inspired by Scandinavian Moderns such as Alvar Aalto, Sigurd Lewerentz and Arne Jacobsen, and the late work of Le Corbusier himself, was reinterpreted by groups such as Team X, including structuralist architects such as Aldo van Eyck, Ralph Erskine, Denys Lasdun, Jorn Utzon and the movement known in the United Kingdom as New Brutalism. 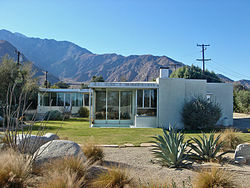 The city of Palm Springs, California is noted for its many examples of Mid-century modern architecture. William Krisel: Ocotillo Lodge(1957); House of Tomorrow(1962). 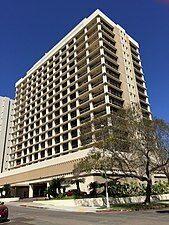 Gene Leedy: The Sarasota School of Architecture, sometimes called Sarasota Modern, is a regional style of post-war architecture that emerged on Florida's Central West Coast. Examples of 1950s Palm Springs motel architecture include Ballantines Movie Colony (1952) — one portion is the 1935 Albert Frey San Jacinto Hotel — the Coral Sands Inn (1952), and the Orbit Inn (1957). Restoration projects have been undertaken to return many of these residences and businesses to their original condition. Scandinavian design was very influential at this time, with a style characterized by simplicity, democratic design and natural shapes. Glassware (Iittala – Finland), ceramics (Arabia – Finland), tableware (Georg Jensen – Denmark), lighting (Poul Henningsen – Denmark), and furniture (Danish modern) were some of the genres for the products created. In America, east of the Mississippi, the American-born Russel Wright, designing for Steubenville Pottery, and Hungarian-born Eva Zeisel designing for Red Wing Pottery and later Hall China created free-flowing ceramic designs that were much admired and heralded in the trend of smooth, flowing contours in dinnerware. On the West Coast of America the industrial designer and potter Edith Heath (1911–2005) founded Heath Ceramics in 1948. The company was one of the numerous California pottery manufacturers that had their heyday in post-war USA, and produced Mid-Century modern ceramic dish-ware. Edith Heath's "Coupe" line remains in demand and has been in constant production since 1948, with only periodic changes to the texture and color of the glazes. Printed ephemera documenting the mid-century transformations in design, architecture, landscape, infrastructure, and entertainment include mid-century linen post cards from the early 1930s to the late 1950s. Mid-century linen post cards came about through innovations pioneered through the use of offset lithography. The cards were produced on paper with a high rag content, which gave the post card a textured look and feel. At the time this was a less expensive process. Along with advances in printing technique, mid-century linen postcards allowed for very vibrant ink colors. The encyclopedic geographic imagery of mid-century linen post cards suggests popular middle class attitudes about nature, wilderness, technology, mobility and the city during the mid-20th century. Curt Teich in Chicago was the most prominent and largest printer and publisher of Linen Type postcards pioneering lithography with his "Art Colortone" process. Other large publishers include Stanley Piltz in San Francisco, who established the "Pictorial Wonderland Art Tone Series", Western Publishing and Novelty Company in Los Angeles and the Tichnor Brothers in Boston. The printing of mid-century linen post cards began to give way in the late 1950s to Kodachrome and Ektachrome color prints. 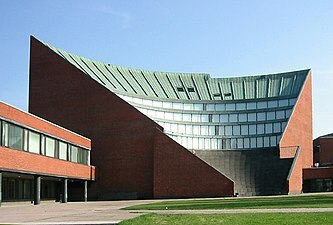 Helsinki, Finland – University of Technology – Auditorium, by Alvar Aalto. ^ Jason Peterson (2014-02-01). "Designer Spotlight: Florence Knoll". Emfurn. Retrieved 2015-05-23. ^ Wills, Eric (May–June 2008). "Palm Springs Eternal". Preservation. 60 (3): 38–45. ^ Cygelman, Adèle; David, Rosa (forward); Glomb, David (photographs) (1999). Palm Springs Modern: Houses in the California Desert. New York, NY: Rizzoli International. p. 192. ISBN 0-8478-2091-2. LCCN 98048811. ^ Shulman, Julius; Stern, Michael; Hess, Alan (2008). Julius Shulman: Palm Springs. New York, NY: Rizzoli International. p. 208. ISBN 978-0-8478-3113-5. LCCN 2007933610. ^ a b Hess, Alan; Danish, Andrew (2001). Palm Springs Weekend: The Architecture and Design of a Midcentury Oasis. San Francisco, CA: Chronicle Books. p. 180. ISBN 0811828042. 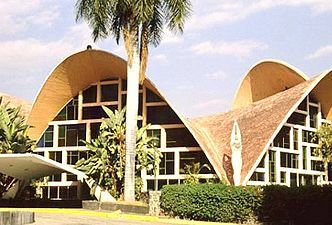 LCCN 00024046. ^ Quinn, Bradley (2004). Mid-Century Modern: Interiors, Furniture, Design Details. London: Conran Octopus. p. 176. ISBN 978-1840914061. ^ Faibyshev, Dolly (2010). Palm Springs: Mid-Century Modern. Atglen, PA: Schiffer Pub. p. 112. ISBN 9780764334610. LCCN 2010925309. OCLC 475457720. ^ "Desert Modernism Timeline". Palm Springs Modern Committee. Retrieved 15 February 2017. ^ Goldberger, Paul (May–June 2008). "The Modernist Manifesto". Preservation. 60 (3): 30–35. ^ "The Time: Modern: Highlights in the development of modernism in the Coachella Valley". Palm Springs Life. Palm Springs, CA. February 2007. Archived from the original on 2015-06-15. 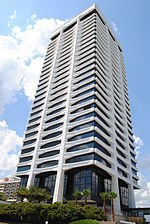 ^ a b c d "Lost: Maslon House". Palm Springs Preservation Foundation. Retrieved 15 February 2017. ^ "A Winter Residence in Palm Springs" (PDF). Architectural Digest. Fall 1967. Archived from the original (PDF) on February 17, 2016. Retrieved May 23, 2012. Interior Design by Arthur Elrod, A.I.D. and William Broderick, A.I.D. ; Architecture by William Cody, F.A.I.A. ^ "William Krisel". Palm Springs Modern Committee. Retrieved 15 February 2017. ^ Bradley, Darren (29 June 2013). 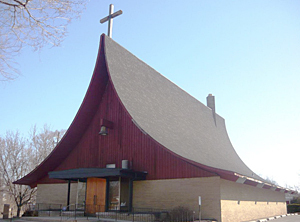 "Modernist Architecture: William Krisel". modernistarchitecture.blogspot.com. Retrieved 15 February 2017. ^ Leet, Stephen (2004). Richard Neutra's Miller House. New York, NY: Princeton Architectural Press. p. 191. ISBN 1-56898-274-7. LCCN 2003021531. ^ Friedman, Alice T. (2010). "2. Palm Springs Eternal: Richard Neutra's Kaufmann Desert House". 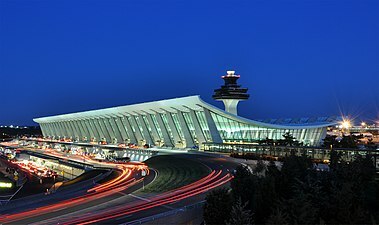 American Glamour and the Evolution of Modern Architecture. New Haven, CN: Yale University Press. p. 262. ISBN 978-0300116540. LCCN 2009032574. ^ Bricker, Lauren Weiss; Williams, Sidney J. (2011). Steel and Shade: The Architecture of Donald Wexler. Palm Springs, CA: Palm Springs Art Museum. p. 131. ISBN 978-0981674346. LCCN 2010043639. ^ Howser, Huell (September 27, 2002). "'50s Motel – Palm Springs Week (20)". California's Gold. 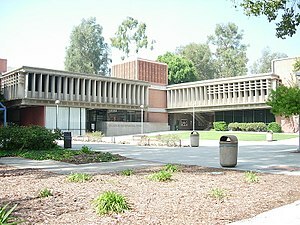 Chapman University Huell Howser Archive. ^ Colacello, Bob; Becker, Jonathan (photographs) (June 1999). "Palm Springs Weekends" (PDF). Vanity Fair: 192–211. Archived from the original (PDF) on 2013-12-11. ^ Zahid Sardar (2004-02-01). "Home Is Where the Heath Is: A Bay Area pottery tradition continues under new ownership". San Francisco Chronicle. Retrieved 2006-09-14. ^ Meikle, Jeffrey L. "A Paper Atlantis". Journal of Design History. 13 (4): 267–86. ^ Curt Teich Postcard Archives, Lake County Discovery Museum. Retrieved March 4, 2012. ^ Metropolitan Postcard Club of New York City. Retrieved March 4, 2012. ^ "An Offset Pioneer" in: American Printer, October 1, 2006. Retrieved March 4, 2012. ^ Tichnor Brothers Collection, Boston Public Library. Retrieved March 4, 2012. ^ Mayhew, Augustus (11 July 2011). "Urbane Developments: Miami & Delray". New York Social Diary. Retrieved 6 February 2017. Greensberg, Cara (1984). 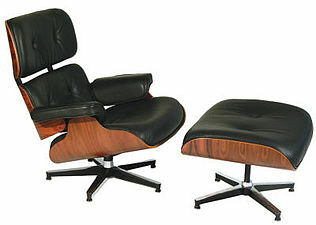 Mid-Century Modern: Furniture of the 1950s. OL 1984249W. Coquelle, Aline (2006). Palm Springs Style. Assouline. p. 192. ISBN 978-2843237430. Dailey, Victoria (2003). LA's Early Moderns: Art, Architecture, Photography. Princeton Archit.Press. p. 136. ISBN 978-1890449162. Dietsch, Deborah K. (2000). Classic Modern: Midcentury Modern At Home. Simon & Schuster. p. 208. ISBN 978-0684867441. Hess, Alan (2007). 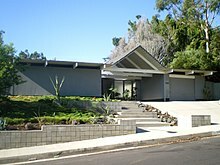 Forgotten Modern: California Houses 1940–1970. Weintraub, Alan (photographs). Gibbs Smith. p. 280. ISBN 978-1586858582. Keith, Michele (2010). "Michael Berman: ... Palm Springs; Alex Jordan: ... Palm Desert". Designers here and there: inside the city and country homes of America's top decorators. New York, NY: Monacelli Press. p. 224. ISBN 978-1580932462. LCCN 2009042910. Dream Homes Deserts: A Showcase of the Finest Architects, Designers & Builders in Las Vegas, Palm Springs & New Mexico. 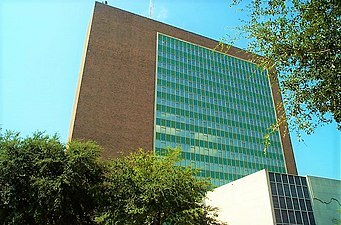 Dallas, TX: Panache Partners, LLC. 200. p. 200. ISBN 978-1933415284.